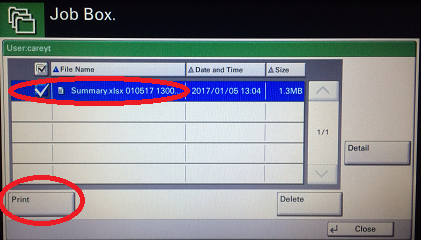 When sending sensitive documents to the copier, you can submit the job with a password. 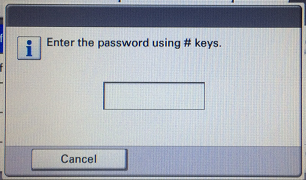 This will hold the job at the copier until you enter the password. Step 1:Select the copier normally from whichever program you wish to print (this example uses Microsoft Word). 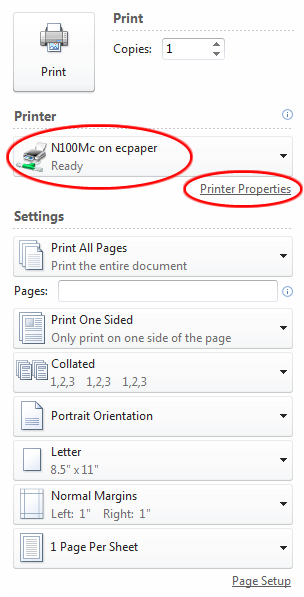 Then click Printer Properties next to the copier name. Step 2:1 - Click on the Job tab. 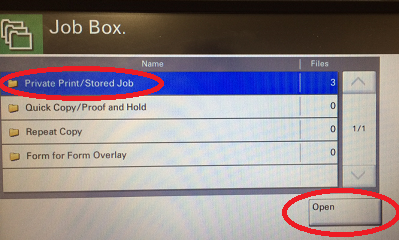 2 - Click to check the box below the Job Storage option. 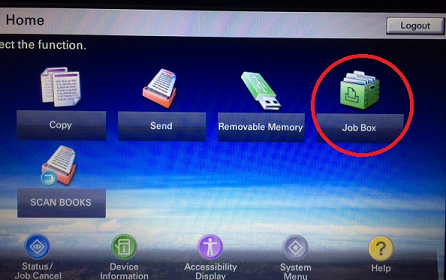 3 - Choose Job storage from the menu. You can specify the access code (password) in this screen, or click the check box at Prompt for access code to enter it in a separate screen later. Numbers are generally easier for the access when retrieving the job. 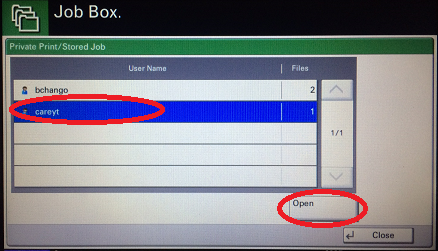 Log-in to the copier.Step 2:Press Job Box. Step 3:Select Private Print/Stored Job, then press Open. Step 4:Select your name from the list and press Open. 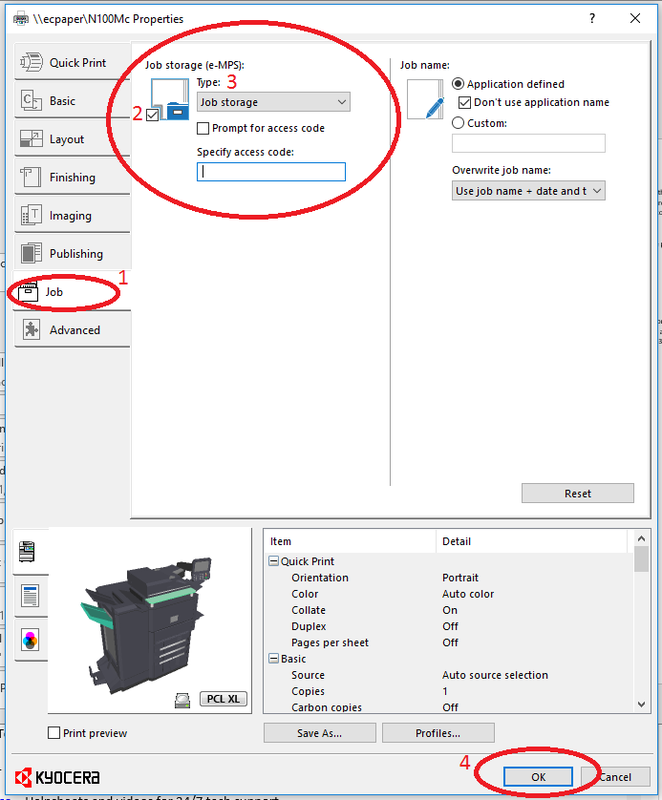 Step 5:Select the job you submitted and press Print.